The Juventus star returned to action on Friday, but he could not inspire Portugal to victory against Ukraine. 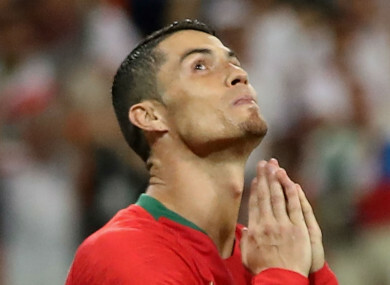 Email “Cristiano Ronaldo's comeback falls flat upon international return as Portugal are held”. Feedback on “Cristiano Ronaldo's comeback falls flat upon international return as Portugal are held”.